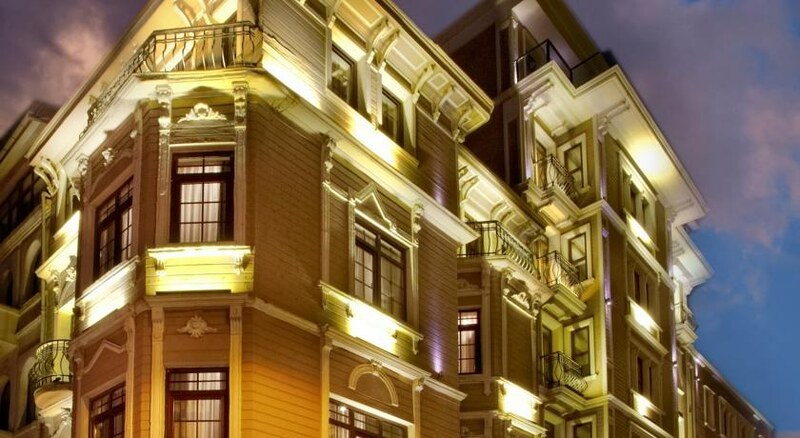 This modern 4-star hotel in Istanbul is situated 500 metres from the Istanbul Congress & Exhibition Center (ICEC) and just a 7-minute walk from Taksim Square. It offers 2 restaurants and a terrace. The colourful rooms at the Hotel Konak combine traditional décor with modern amenities, including free Wi-Fi, LCD TV and a tea/coffee maker. The Kazan Restaurant serves a buffet breakfast consisting of sweet and savoury dishes prepared with seasonal ingredients. Guests can enjoy lunch and dinner at the Strada Restaurant, which serves international dishes complemented by regional wines. 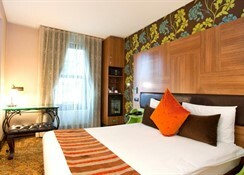 Hotel Konak offers 24-hour front desk service. The staff at front desk can arrange sightseeing tours, car rental and provide information on local attractions. 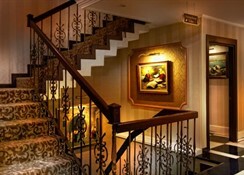 Konak Hotel is 400 metres from public transportation links offering access to the rest of Istanbul. Dolmabahçe Palace is 750 metres away, and Galata Tower is 3 km from the hotel. 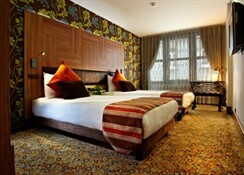 The hotel is located in the heart of Istanbul, Taksim area. 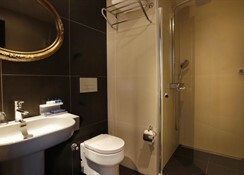 The central location provides its guest the convinience of beeing close to all historical attractions. It is also in a walking distance to Istiklal Street,Nisantasi Shopping area, Metro station, Istanbul Convention & Exhibition Centre (ICEC),Istanbul Congress Centre(ICC), Hilton Convention Centre. All rooms feature free of charge wireless internet connection,Direct Dial Telephone,Shower and WC,Telephone in bathroom,Hair Dryer,Electronic Keylock System,Fire Alarm,Minibar,Tea or Coffee Machine,24 hrs Room Service,Safety Box (laptop size),Balcony,Satellite TV – Pay TV,Central Air Conditioning.Some rooms have a bathtub, where as some rooms have a shower with a rain shower head. 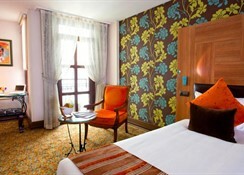 Hotel Konak also has original triple rooms and connecting family rooms for large families.